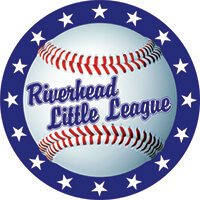 For over 60 years, Riverhead Little League has been servicing the children of our community. 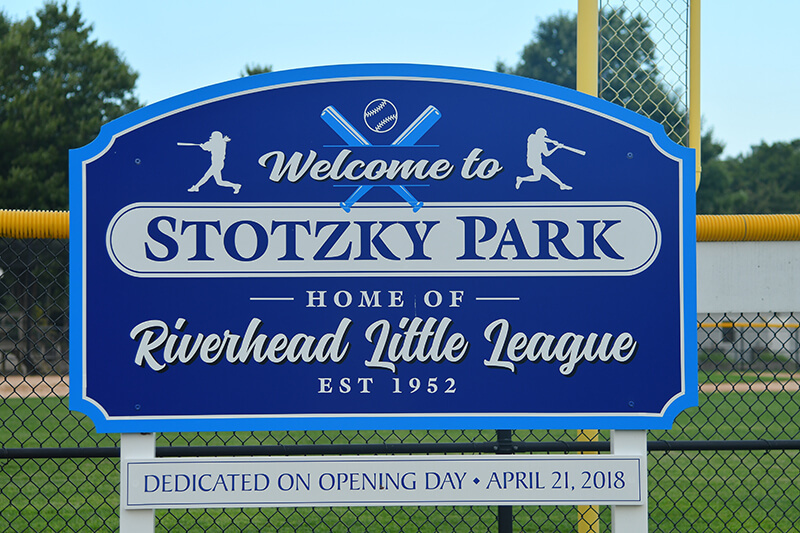 The league is headquartered at Stozky Park, which has two baseball fields, three softball fields and a T-Ball field. We also have four fields at Epcal in Calverton. These pristine fields draw thousands of people seasonally to enjoy the love of the game and the great outdoors! 2019 Registration link has been posted. View informational charts, forms, fees and more. Baseball and Sofball schedules have been posted for Tee Ball, Minors A, Minors AA and Majors divisions. Games will begin April 29th and Opening Day ceremonies will be on May 4th. Join us as we kick off another season. 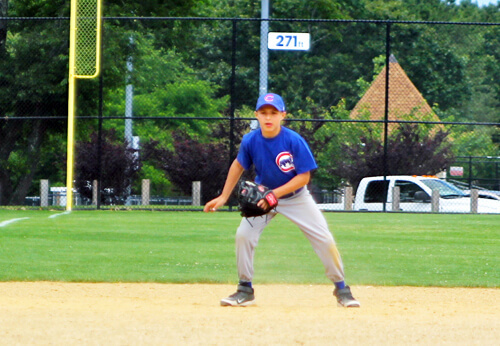 The New York Mets are excited to welcome Riverhead Little League to the Future Stars Program! 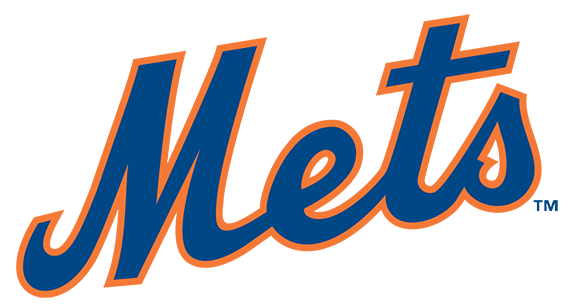 As part of the program all registered athletes in Riverhead Little League will have the opportunity to receive a ticket* to watch the New York Mets take on the Colorado Rockies on Sunday, June 9th at 1:10PM. Tee Ball Baseball is for boys and girls 4-5 years old who want to learn the fundamentals. 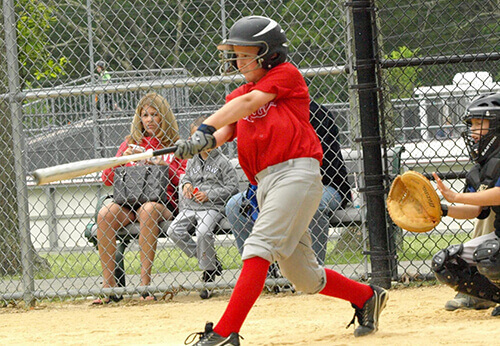 Minors Baseball / Softball A Division is a division for players aged 6 and 7. This is a coach pitch division. Double A is for players aged 8 to 10 years old. This is a semi-competitive division. The Majors division is for players aged 10 to 12. Majors division is the most competitive division. 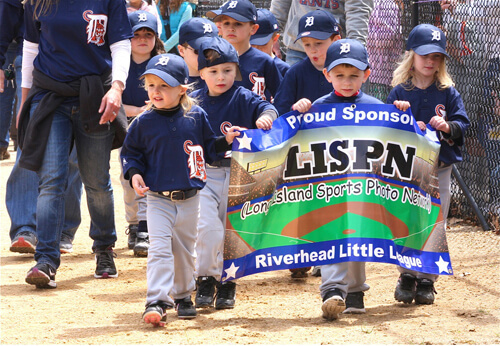 View our opening ceromony and other media / press from Riverhead Little League. 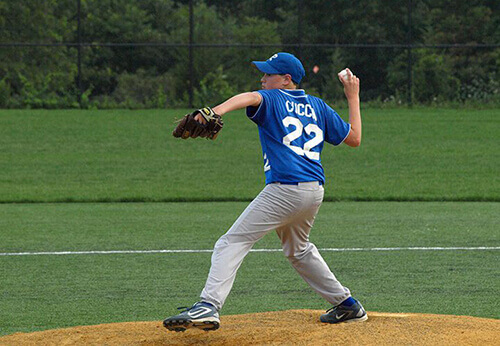 Below are some informational documents to review as the parents of Little League. Place your apparel order today!